On February 26th, 2011, 70 competitors of all ages (16 to 62) and experience levels from beginner to veteran champ faced off in a winter adventure race called the MVP Health Care Frigid Inflliction. 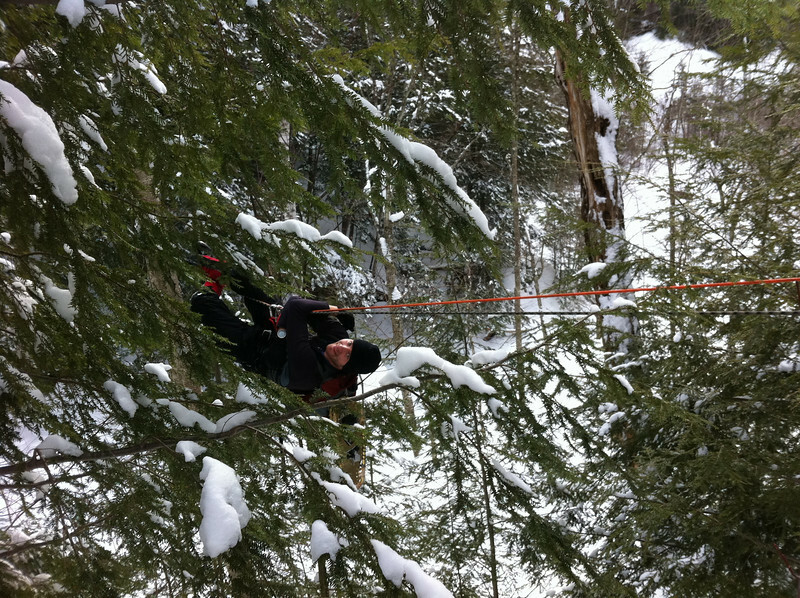 Snowshoeing, postholing, cross-country skiing, and a tyrolean traverse on a chilly Vermont day with 14 inches of fresh snow on the ground. All while navigating by map and compass, in teams of two or three. Everyone crossed the finish line exhausted, happy, and looking forward to the post-race meal and award ceremony. Congrats to all of the racers who joined us this year, and huge thanks to our volunteers and sponsors! See everyone at the Bitter Pill this summer - it's going to be a blowout! !